Washington Post: “Egg Cookbooks: Time to Crack Open the New Ones,” by Bonnie S. Benwick. This weeks Washington Post Food section is an eggstravaganza of coverage about the incredible, edible you-know-what. Benwick ticks off a list of good cookbooks devoted to the subject, along with some recipes, like the eggy brioche from Michael Ruhlman’s new book, Egg: A Culinary Exploration of the World's Most Versatile Ingredient. Benwick also has a separate piece on egg tips and trivia. 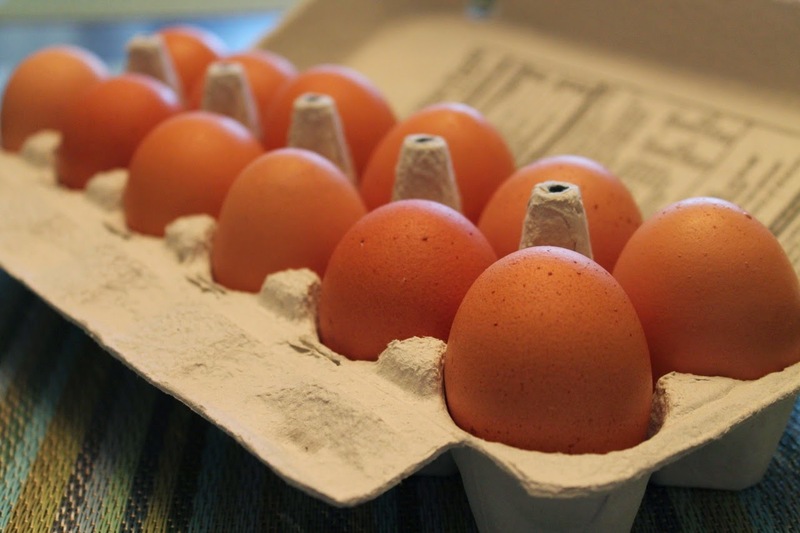 There’s also a story by freelance writer Emily Horton about hard-boiled eggs. Wall Street Journal: “Master the Egg,” by Michael Ruhlman. Speaking of Ruhlman’s new book, he provides this preview for the Wall Street Journal and talks about how mastering the egg is the key to mastering the kitchen. He quotes Alton Brown who called the egg “the Rosetta stone of the kitchen.” He offers the egg omelet as the perfect example of something every good cook should master and includes an interesting recipe (although not to my style, as I prefer my omelets flipped). The Guardian: “Organic Food: It's Not Just for Yuppies Anymore,” by Tracie McMillan. McMillan, author of the superlative The American Way of Eating, covers the news of Walmart’s recent announcement it will carry organic groceries for my favorite British newspaper, The Guardian. Her angle is what the announcement means about assumptions regarding low-income Americans—a big portion of Walmart customres—and their preference for organic goods, which is apparently stronger than among wealthier Americans. Although as McMillan notes, preference doesn’t always translate to action, especially when income becomes a limiting factor. Walmart may help change that. NPR: “The Secret to These Sauces Is Nuts,” by Claire Adas. Like Ms. Adas, I’m a nut for nuts, so I got pretty hungry reading her descriptions of all the wonderful ways you can use nuts in food. Her focus is on sauces, and her nut aiolis sound amazing. The food and travel magazine hands out its awards for the best food blogs of the year, as chosen by readers and editors. Lots of great picks in the food and drink categories. Congratulations to the winners. One of the blog winners, the editors’ choice for best food blog, was Stephanie Le’s I Am a Food Blog. She’s got a super cute and tasty-sounding coconut cake with mascarpone frosting and peeps. SF Gate: “Whole Foods wins tahini taste test by landslide,” by Sarah Fritsche. With warmer weather approaching (can’t believe it froze in D.C. last night! ), I’ll be ready to make hummus soon. Good tahini is essential for a creamy smooth consistency. Fritsche assembled a panel of tasters to find a favorite; their selection may surprise you (hint: it’s a store brand). The Huffington Post: “The 22 Most Hipster Foods on the Planet,” by Alison Spiegel. I don’t really consider myself a hipster. I’m too old, and I was never cool enough (just very briefly in the late ‘90s). But as a “foodie” (another term I’m not really that into, but it fits), there are quite a few things on this list I’m guilty of fawning over, including food trucks, Brussels sprouts, bacon, and tacos. Just don’t give me any PBR; I’ll stick to craft IPA thank you. Oh wait, that was on the list too. A La Mode Podcast: “Episode 7 - Sugar Coating,” by Jason Shriner and Jaisyn Markley. Here’s something different for The Feed: a podcast. My friend Jason (a.k.a. The Aubergine Chef) and his friend Jaisyn recently started this podcast focused on food, fashion and whatever else strikes their fancy. In this episode, Jason talks about the BBC documentary Sugar v. Fat (check out the twins featured in it), while Jaisyn discusses accessorizing your outfits (sweet on the inside and outside). They also touch on Kinetic Sand, making smart wireless phone service choices, and provide general updates on what they've been up to lately. I'm reading the best food blog right now.